I’m going to start a movement of late adopters. People who take a long time to join a new craze. This is a movement for people who never buy the first, second or even the third edition of a product. We wait until the fifth one is on the horizon. We wait until everyone else has one. Until the craze is passé. That’s me. Slow to adopt to new technologies. I’m talking about cellular technology. Last night I became the proud owner of a smart phone. And not just any smart phone but an iPhone. A device that hundreds of millions have had for years. Since 2007 to be exact. I started with a cell phone, which took me years to acquire. 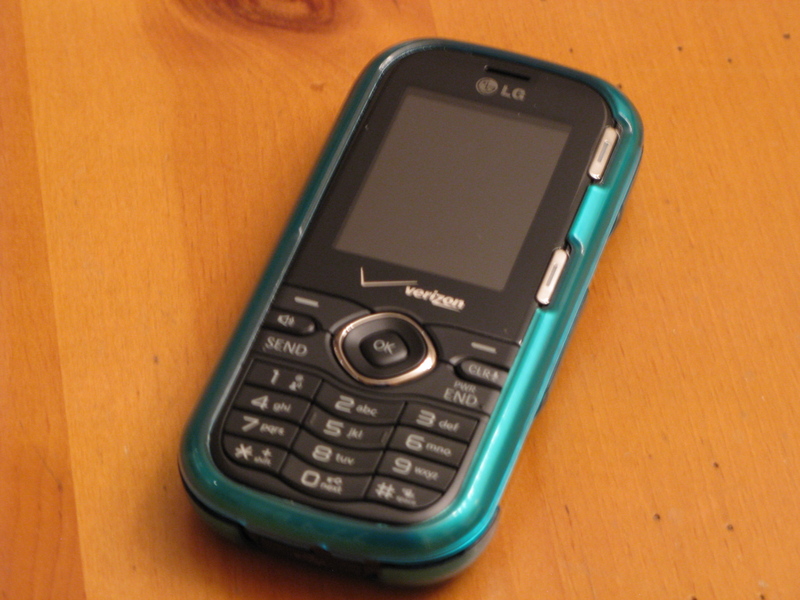 Then last year, I upgraded to one with a keyboard so I could text. Then in 2011, the year of the rabbit, I purchased a smart phone. Rumor has it the iPhone will change my life. Not sure how. Not sure when. But I digress. It’s not that I don’t like new things because I do. And I like old ones, too. But I just didn’t think I needed this much phone. Until I found myself lugging my laptop around all day just to keep up with my emails. Duh! The funny thing is I like new ideas. New ways of looking at things. Modern furniture. And contemporary art. But not necessarily new technology. We only bought a Cuisinart in the last 12 months. My pals in graduate school will tell you how long it took me to get an answering machine. 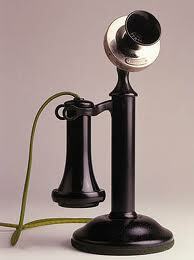 And yes we still have one instead of voice mail. Not sure what the next new craze will be that will pass me by. But I’m sure it will. If you’re interested in joining my group. Drop me a letter in the post. While you still can. Today Peg and I made a monumental move. We upgraded our cell phones. A long time coming. We didn’t need new phones as much as we needed new cell phone service. Only two places in our house received enough AT&T cell phone reception to make a call. Other than our courtyard. Where the signal was the strongest. Whenever my cell phone rang, I had to run out of the house into the courtyard to talk. Frustrating for me. Annoying for my neighbors. After Peg spent hours online investigating calling plans and benefits, we marched ourselves to the Verizon store, handed over our tired looking devices and walked out with shiny new ones. 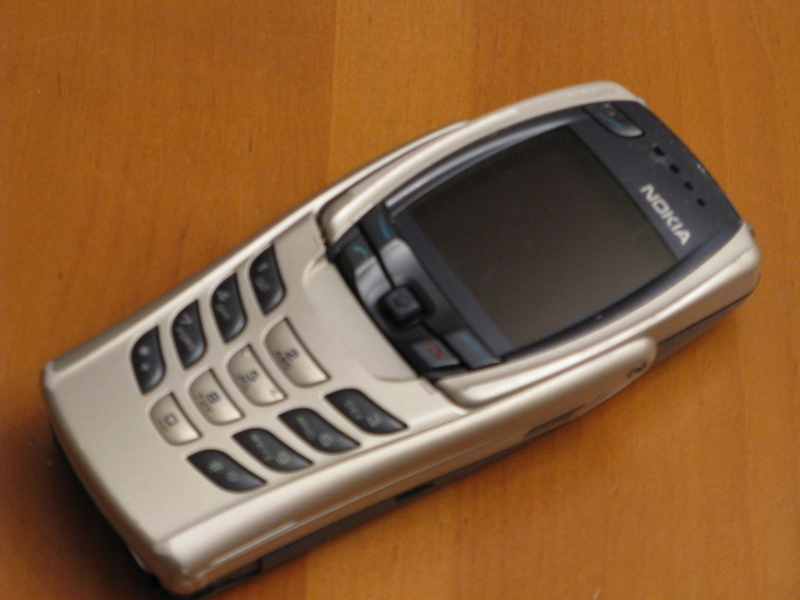 I relinquished my Nokia 6810, purchased during Bush’s first term. With its flip-out text keyboard, FM stereo radio and voice dialing. Replacing it with… The LG Cosmos. Now I can text away on a QWERTY keyboard, take photos with a 1.3-megapixel camera and find myself using the GPS. Sheathed in a bright green case. The LG won’t hide in the bowels of my handbag. Instead it will stand out wherever it goes. I will miss my Nokia, which fit, so snugly in my hand. Accompanying me on many a walk home from BART as I yakked with my mom or sister about the goings on of the day. The Nokia’s silver case only stood out in service never in looks. I loved the Nokia. It was my first. Rumor has it you never forget your first.